BSS Online Store is a local based "KK" company with Dedicated Services. Our shop is located at 2nd Floor MEGALONG SHOPPNG MALL, Donggongon. Please buy with confident as our products and services is always up to the customer expectation. Contact method : Call/Whatsapp : 012-6661669 Wechat ID/Line ID : fergie1410 Call/Whatsapp : 010-6661212 Wechat ID/Line ID : jcglorio Is water getting a little boring? 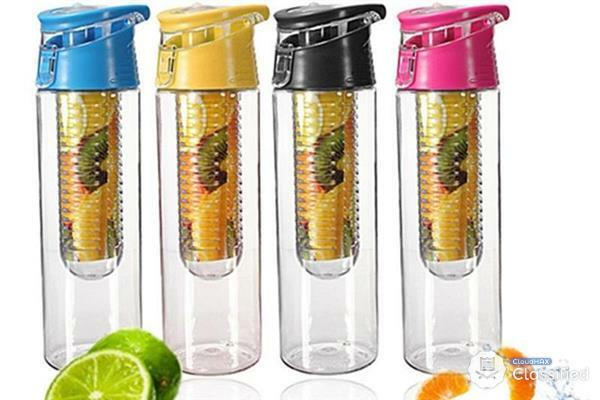 The Tritan Flavor-It Water Bottle lets you add a fruity splash by flavoring it with the fruit infuser. Revolutionary high tech material is extremely impact resistant and 100-percent BPA free. Withstands subfreezing to boiling temperatures. Just add a variety of fruits or vegetables to the water for a refreshing drink that'll keep you hydrated and saying goodbye to bottled water. Add lemons, limes, strawberries, cucumbers, apples or even fresh mint.